Laura Ingalls' life changes forever when Almanzo Wilder arrives in Walnut Creek. 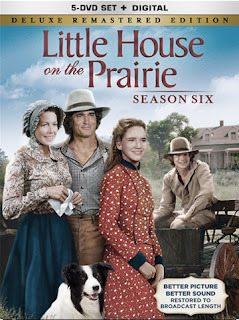 See their relationship blossom in the Little House on the Prairie: Season Six Deluxe Remastered Edition,arriving for the first time on Blu-ray (plus Digital HD) and DVD (plus Digital) July 14 from Lionsgate Home Entertainment. The 5-disc Season Six set includes 24 newly restored, remastered and uncut broadcast length episodes and the final installment of the all-new 40th anniversary-themed special feature, "The Little House Phenomenon - Part Six: A Lasting Legacy. "The Little House On The Prairie: Season Six Deluxe Remastered Edition will be available on Blu-ray and DVD. 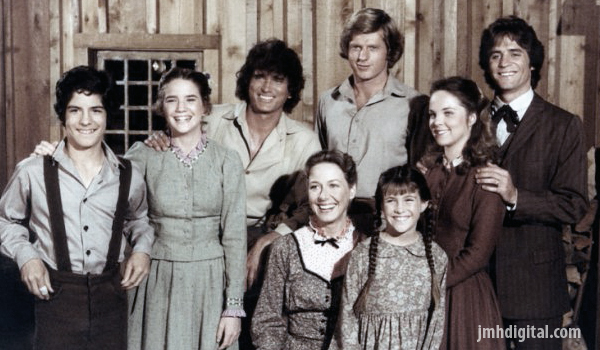 All nine fully restored and remastered seasons of Little House on the Prairie are currently available on Digital HD. You know I love a great Little House... story and here is some more to enjoy!